Join us for an Open House for our 3 and 4 year-old classes on Wednesday, February 13th from 6-8pm. Meet the teachers, check out the classroom, and preregister for the 2019-2020 school year. If you have any questions, or if you are interested in learning more about our program, seeing the classroom, or meeting the teachers, please call the office at (716) 692-3429 or email us. 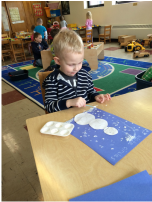 Salem offers one the of highest quality preschool experiences in our area and we are able to do so with an amazingly reasonable tuition! Our Two Day Program is $450 per year, the Three Day Program is $650 per year, and the Five Day Program is $1000 per year. Families have been returning to our program for generations. 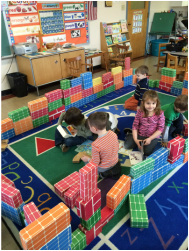 Kindergarten teachers often regard our graduates as highly prepared and ready for success in the classroom. You can register at any time for the next Fall or Spring semester! To provide an affordable quality pre-school experience for 3 and 4 year olds in a safe and secure and loving environment. To provide an educational experience of excellence within a religious environment. To provide a positive Christian witness in teaching and service to the greater Tonawanda community. 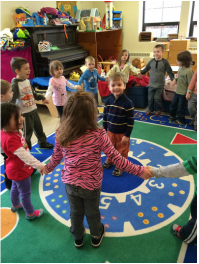 All activities are planned to help children develop social and learning skills necessary for a successful transition into Kindergarten. There is a certified teacher and teaching assistant in each class. Class time 9:30 a.m. to 12:00 p.m. Classes begin in September (the week after Labor Day) and end the first week of June. Tuition is $225.00 per semester (half-year) for 2 day program. Tuition is $325.00 per semester (half-year) for the 3 day program. Tuition is $500 per semester (half-year) for the 5 day program. Children must be 3 years old before December 1 when starting class in September.